Adjustable head wall pack lighting is ideal for setting lights on doorways and building entry points at a variety of angles. This Howard Lighting 120W LED wall pack allows you to do just that, and it works as a fantastic replacement for a 400W metal halide by using only 120 watts. The VL1205 LED wall pack measures 13” x 11”, features a durable black plastic frame, has a voltage range of 120-277 and its daylight Kelvin is 5000. 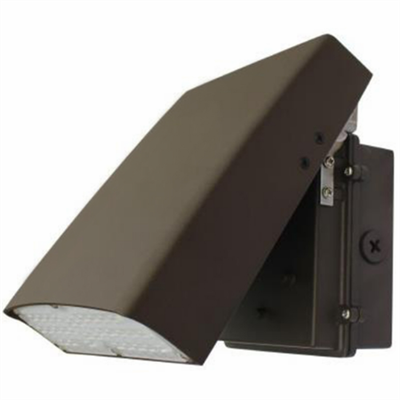 Shop today for this compact, durable LED security wall pack light from Howard Lighting.